Is a Simsbury Skylight Right for You? Let's be honest right off the bat, skylights in Simsbury, CT have gotten a bit of a bad rap. While they were quite popular when first making their debut a few decades ago, these windows then had some problems. Not all of them but some of them. This is par for the course when a new product comes out and has not had the opportunity to be time tested. However, a lot of the issues back then could be traced back to shoddy materials or inferior workmanship. Here at Brian O'Donnell Quality Home Improvements, we still repair previously installed skylights in Simsbury that have issues or leaks. Yet, it should not be enough to assume all of these windows are likely to have problems. For every problem that arises, there are countless skylights that are still weathering the tests of time just fine. With that being said, let's focus on some of the benefits you can enjoy by adding a quality skylight to your home. Reduction in mold – A certain amount of mildew and mold happens in the home but can make things unpleasant. This is especially true if the amount gets to be too much. The majority of diseases can be linked to bacterial and fungal development in damp areas. This is especially troublesome for anyone who already has asthma, allergies or any other respiratory related health condition. Natural light can help by reducing the presence of mold and mildew. Energy-efficiency – If you want to see savings on your monthly utility bills, this is a great way to do so. 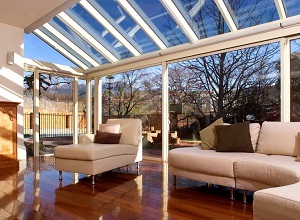 Add natural lighting and heating and lower your energy cost by up to 10% with a skylight. You can also feel good knowing that you are making your home more environmentally responsible by taking away some of the electricity dependence. Vitamin D – Aside from sunlight being pleasant on the skin, it also has health benefits. Doses of sunlight can help prevent B1 and vitamin D deficiencies and this can help avoid diseases like beriberi or rickets. You get sunlight yet still have the essential UV ray protection in place to avoid harmful exposure. Visual aesthetics and increased property value – Nothing brightens up a room, literally, like natural sunlight. Even on gloomy or overcast days, this helps to make your home look brighter. It adds an element of visual enhancement that cannot be replicated with a lighting system. Plus, a quality skylight that has been professionally installed can increase the property value of your home. While there are plenty of other benefits to adding a skylight to your home, these are some of the most popular reasons. Whether you have been thinking about it for some time, were worried about leaks or just now have become intrigued, you can find out more by giving our experienced roofing contractors a call. 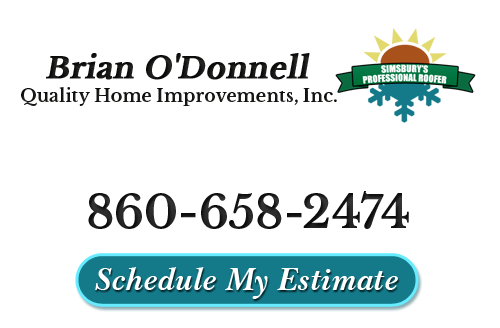 Having been around since 1978, Brian O'Donnell Quality Home Improvements has been taking care of skylight installation in the Simsbury area since it first became available for residential implementation. You can rest assured that Brian and his experts will be able to provide you with the best in Velux "No Leak Skylights." None of the problems and all of the benefits. We take care of installation, repairs, replacement and removal of skylights and sun tunnels. Get in touch with us right now and let us answer any other questions that you may have. You are going to love the look and feel of your home with new skylights. If you are looking for an expert to install skylights in Simsbury, CT, then please call 860-658-2474 or complete our online request form.